Looking for apartments for rent near Franklin Square? Historic Chocolate Works is situated just three blocks from this original Philadelphia gem. Offering a variety of spacious one- and two-bedroom floor plans steeped in historic charm, our Philadelphia apartments are situated between the bustle of Center City and the culture of Old City right near the waterfront. With updated amenities like gourmet kitchens and onsite parking and unique architectural elements that pay homage to the building’s history, The Chocolate Works is the perfect place to write your own story in Philadelphia. Another historic spot in Philadelphia, just minutes from your front door, is beautiful Franklin Square. One of the city’s original five planned squares, Franklin Square is home to a host of elements that Philadelphians have been enjoying for decades. At the heart of the park lies a gorgeous fountain, built in 1838, that serves as a welcome respite from warm city days and is thought to be one of the oldest fountains in the nation. Franklin Square is also home to several elements with which Philadelphians can pass the time. 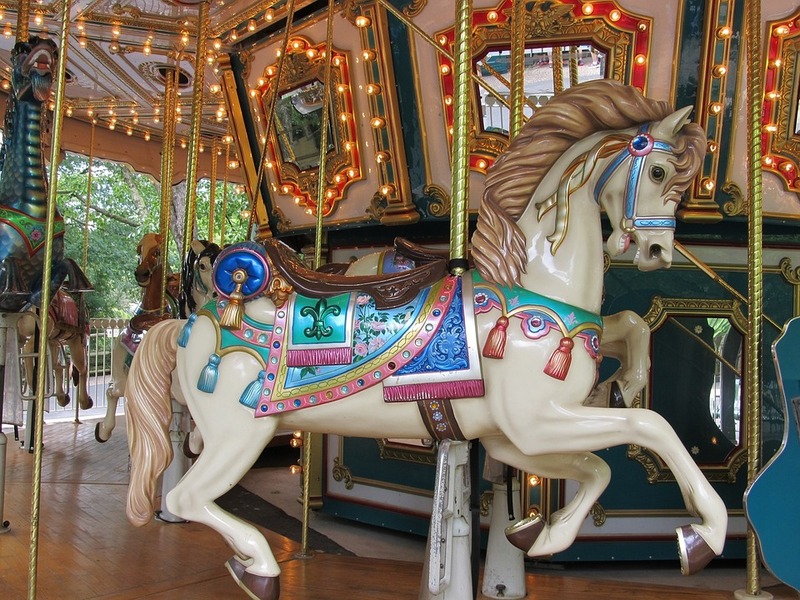 From the carousel to the interactive playground to the mini golf course, there is never a lack of activities to experience in this historic Philadelphia gem. In addition to the year-round attractions Franklin Square offers, it also gets “dressed up” for various events. For five weeks in the spring the park is home to the annual Chinese Lantern Festival. This festival allows visitors to view magnificent Chinese lanterns in celebration Chinese culture and art. During the winter, Franklin Square is transformed into a holiday wonderland and outfitted with thousands of lights coupled with musical performances. Our ideal location in Old City offers beautiful apartments for rent near Franklin Square and a host of other historic Philadelphia sites. Contact us today to learn more about Chocolate Works and schedule a tour of your next new home!